Scientists Develop New Iron-Aluminum Alloy Comparable To Titanium, But 1/10 The Price! Materials like diamond and carbon fiber feature incredible properties but also a hefty price tag to go along with their positive attributes. 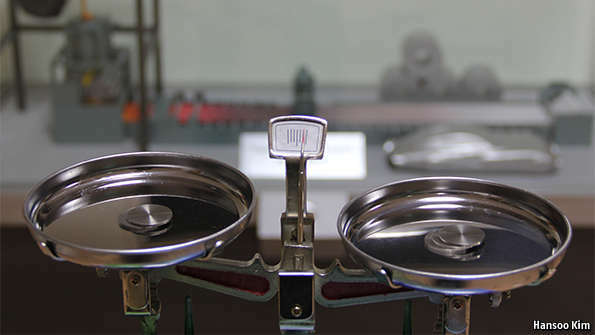 A team of material scientists from Pohang University of Science and Technology, in South Korea, have tweaked an iron-aluminum alloy at the nano-scale, as strong and light as titanium, but merely 1/10 of the cost! Steel has great strength but is too heavy for many applications, which is generally where titanium fills in as a lightweight replacement. The new iron-aluminum alloy is a unique material scientists believe could be used in a wide variety of things, from airplanes to bicycles. The team from South Korea added nickel to the mixture in order to form B2 crystals, which occurs due to a reaction with the aluminum. As a result, the crystals, only a few nanometers in size, are able to resist shear forces in the material. Processing techniques, in addition to the mixing of steel and aluminum in the alloy provide a density very comparable to expensive metals. But before you get too excited, it is worth noting the metal has only been created in a lab at the moment. POSCO, one of the world’s largest steel companies, is planning on beginning tests this year in order to see how viable the production of the new iron-aluminum alloy is at industrial scale.